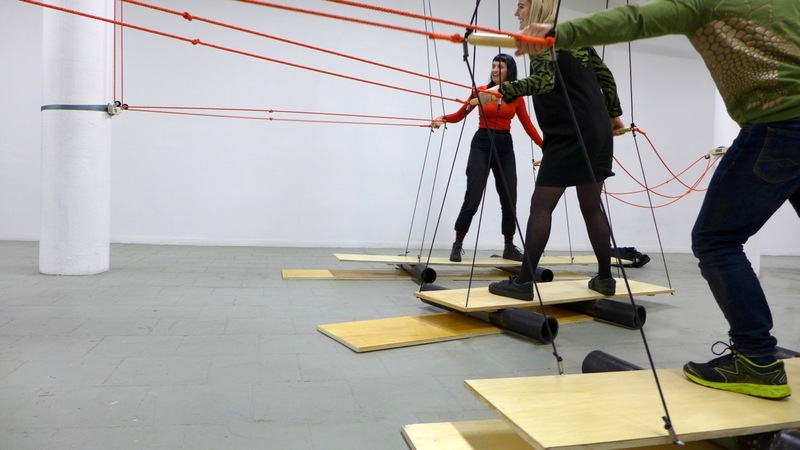 Performance, Objects, Bodies was presented in an open laboratory format, integrated within a 4 week long residency, during which 4 artists worked in parallel at Quartair, developing and testing new ideas. At the end of each week, visitors were invited to come and participate in the artists’ process. 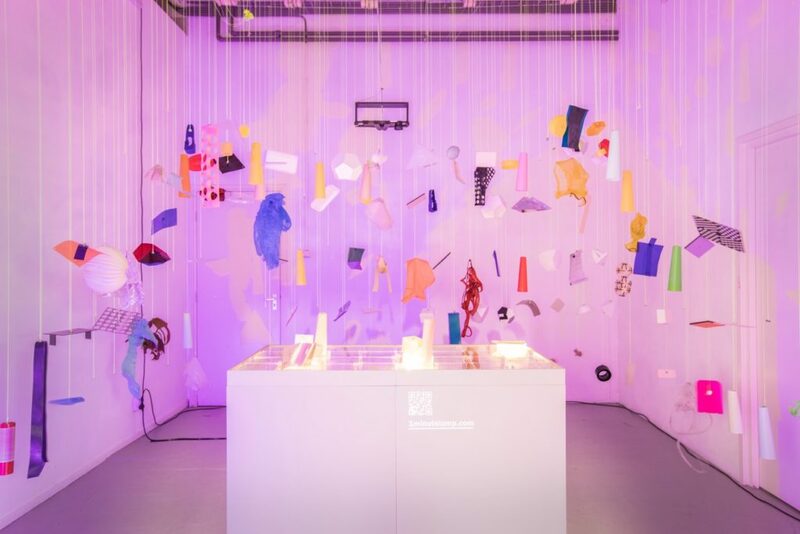 The exhibition presented a series of works in which simple objects invited the audience to take part in playful and open ended experiences. Visitors became part of the works. 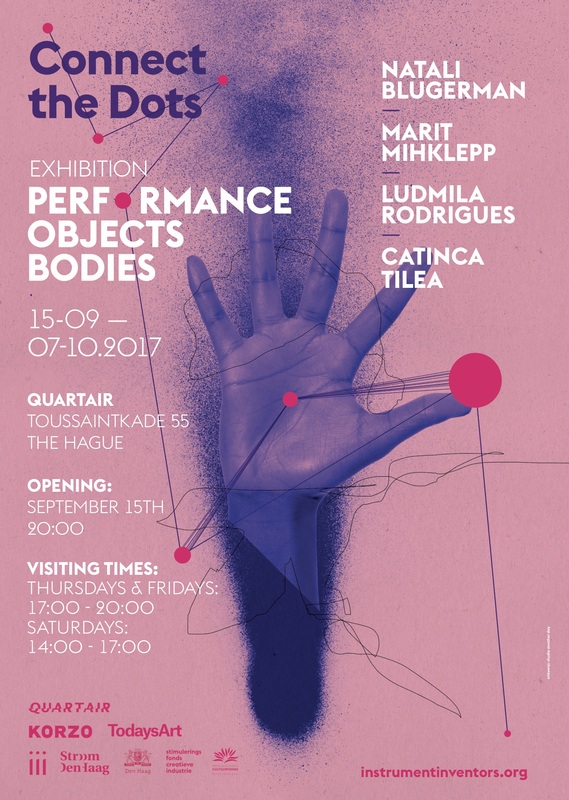 The works developed by Ludmila Rodrigues and Marit Mihklepp during this exhibition were also presented at Tetem in Enschede between November 16th, 2017 and January 28th, 2018. Flexor is an installation-space designed to invite the audience into a physical collaboration. 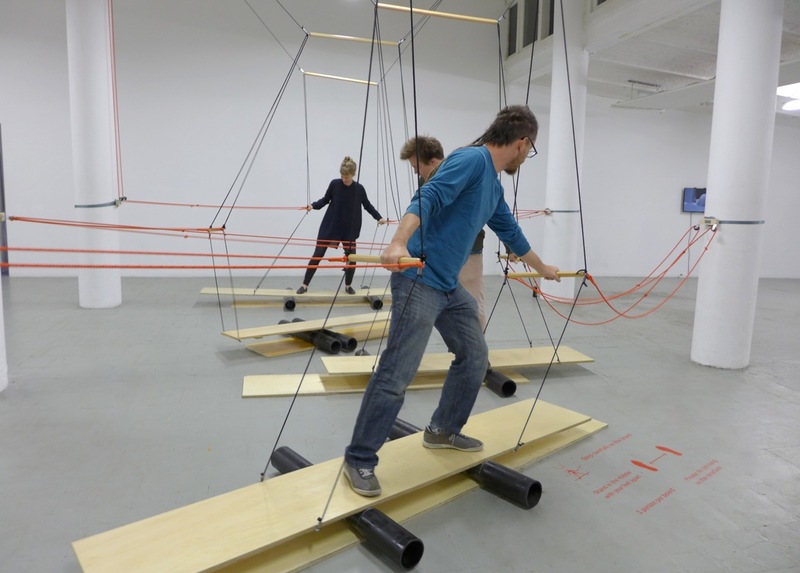 By engaging with the work, visitors slide, tug and toss – through a system of ropes, elastics and rolling boards – sensing and influencing each other. 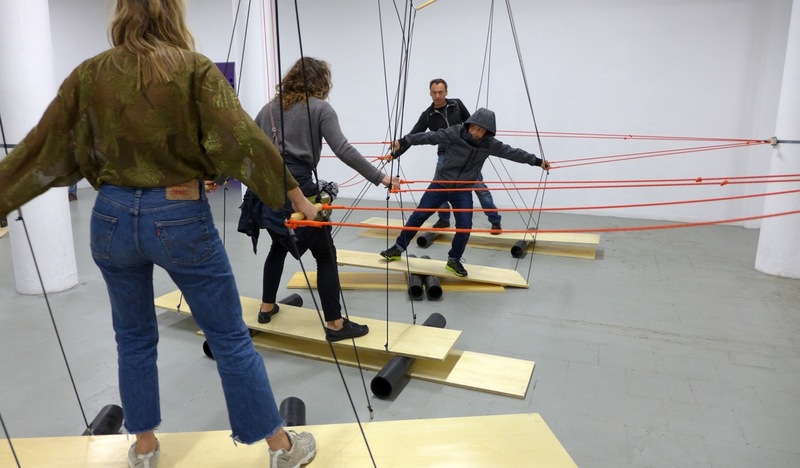 The installation requires a sense of balance, both in individual and in a collective level, where participants negotiate their moves in a dynamic conversation. 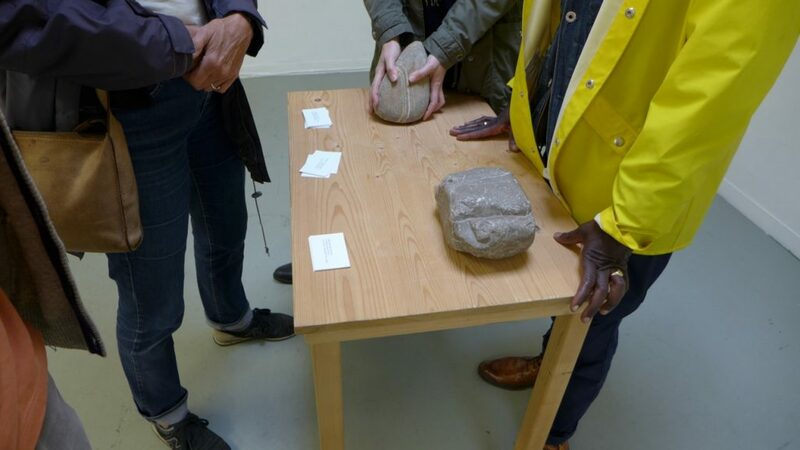 Approximation is an arrangement for two participants to develop a tactile dialogue, or a hand choreography. Differently from the other senses, Touch is a mutual sense; one touches and is touched at the same time. While reaching out to each other’s face, eyes closed and hands interconnected, one leads and the other one follows, mirroring the sequence of moves and gestures. 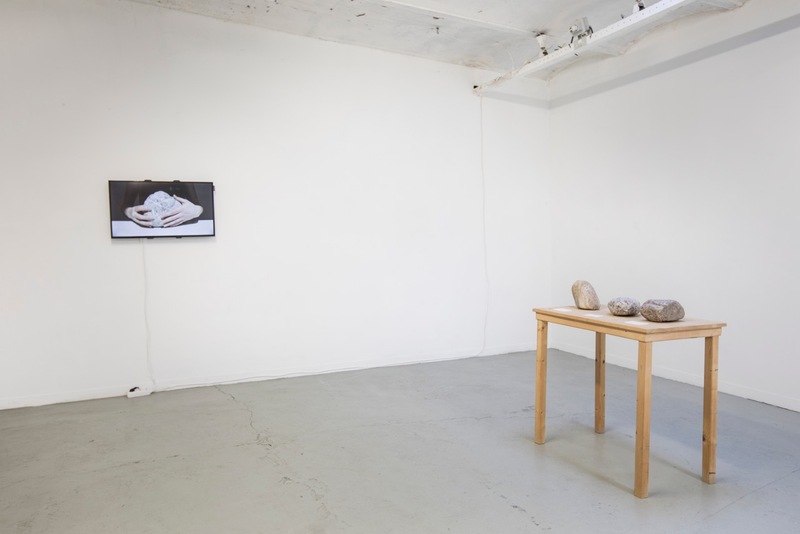 The work elicits empathy and intimacy by means of a haptic communication. Set into the context of rapid online data flows, the project explores the evolution of ownership and aesthetics, and the pleasure of making. As a participatory social design, #1minuteLamp analyses consumption patterns such as the customer’s reflected image of home lighting, goods’ lifespan in relation to diversity, and open source knowledge. 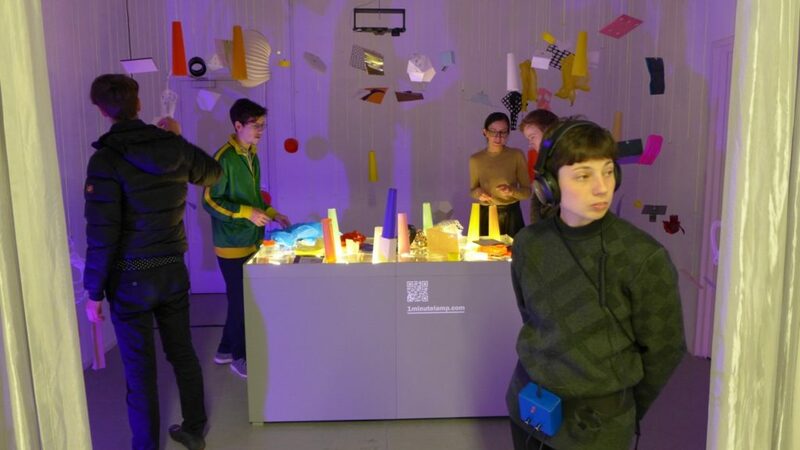 In an ‘Internet of Things meets DIY culture’ setup, #1minuteLamp speculates online-originated crafting behaviour, and the willingness and excitement behind it. We live 100 years, but suppose we lived a billion years. A stone would be just a moment in which some sand gets together, and then it disaggregates. So it’s just a momentary getting-together of sand. 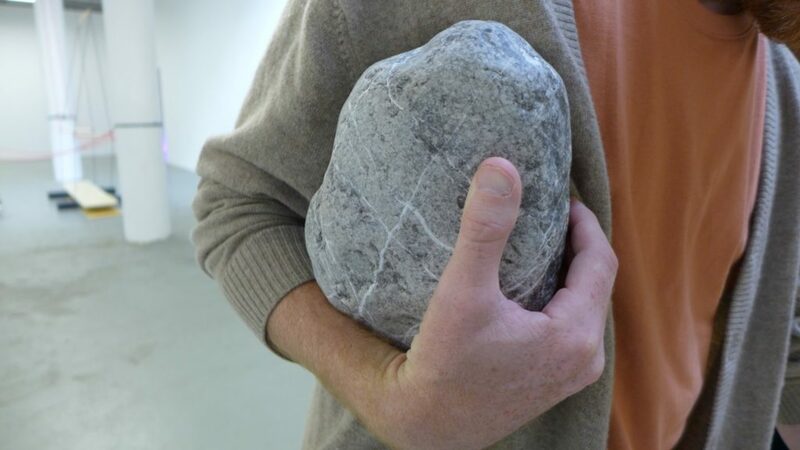 Conversations with Matter is a subtle invitation into the geologic time through the tactile investigation and poetic instructions, giving the audience space to bodily and/or imaginatively experience the shared choreographies between more and less alive bodies. 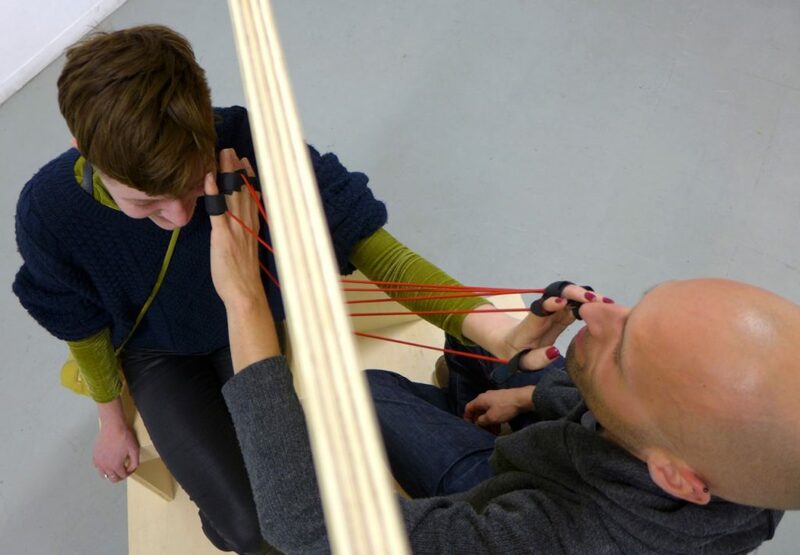 Inverted Sound Walk is a wearable with microphones placed on each foot, both connected directly to headphones. 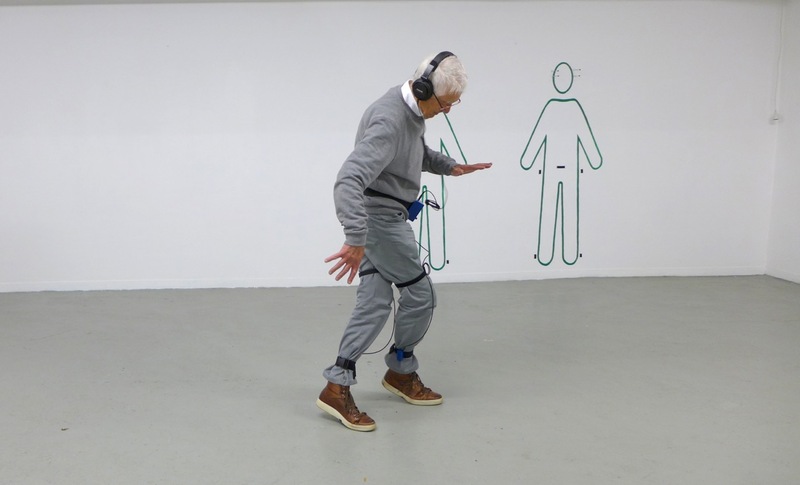 The person using the device goes for a walk, listening to the sounds that originate at ground level. This work was driven by the fact that because our ears are so high up, we miss out on a lot of information. 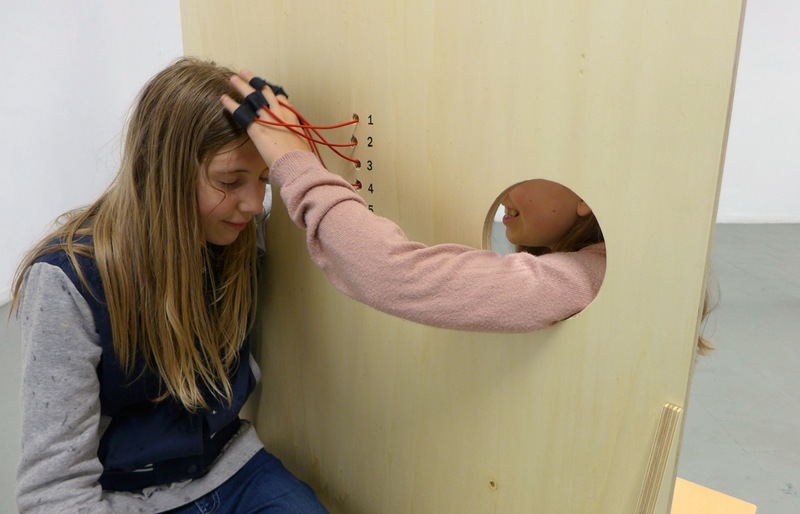 This device enhances the awareness of being vertical, creating a closed circuit between upper and lower sounds. People begin to realize how rhythmic their walks sound, almost like a heartbeat.